We humans are good at a lot of things, but making holes in the ground has to be among our greatest achievements. We’ve gone from grubbing roots with a stick to feeding billions with immense plows pulled by powerful tractors, and from carving simple roads across the land to drilling tunnels under the English Channel. Everywhere we go, we move dirt and rock out of the way, remodeling the planet to suit our needs. Other worlds are subject to our propensity for digging holes too, and in the 50-odd years that we’ve been visiting or sending robots as our proxies, we’ve made our marks on quite a few celestial bodies. So far, all our digging has been in the name of science, either to explore the physical and chemical properties of these far-flung worlds in situ, or to actually package up a little bit of the heavens for analysis back home. One day we’ll no doubt be digging for different reasons, but until then, here’s a look at the holes we’ve dug and how we dug them. The Moon has even less radiation protection than Mars, having practically no atmosphere. The lack of atmosphere also means that more micrometeorites make it to ground level. 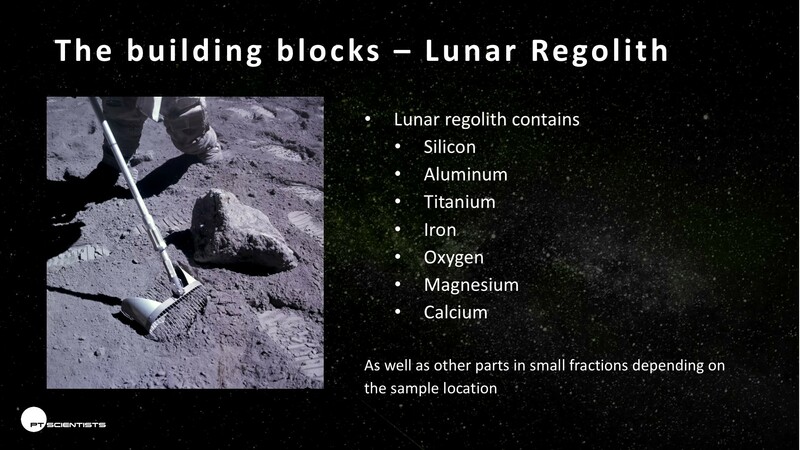 One way to handle these issues is to bury structures under meters of lunar regolith — loose soil. Another is to build the structures in lava tubes. A lava tube is a tunnel created by lava. As the lava flows, the outer crust cools, forming a tube for more lava to flow through. After the lava has been exhausted, a tunnel is left behind. Visual evidence on the Moon can be a long bulge, sometimes punctuated by holes where the roof has collapsed, as is shown here of a lava tube northwest from Gruithuisen crater. If the tube is far enough underground, there may be no visible bulge, just a large circular hole in the ground. Some tubes are known to be more than 300 meters (980 feet) in diameter. Lava tubes as much as 40 meters (130 feet) underground can also provide thermal stability with a temperature of around -20°C (-4°F). Having this stable, relatively warm temperature makes building structures and equipment easier. A single lunar day is on average 29.5 Earth days long, meaning that we’ll get around 2 weeks with sunlight followed by 2 weeks without. During those times the average temperatures on the surface at the equator range from 106°C (224°F) to -183°C (-298°F), which makes it difficult to find materials to withstand that range for those lengths of time. But living underground introduces problems too. In The Martian we saw what kind of hacking was needed to stay alive for a relatively short while on Mars, but what if you were trying to live there permanently? Mars’ hostile environment would affect your house, your transportation, even how you communicate. So here’s a fun thought experiment about how you’d live on Mars as part of a larger community. Radiation on Mars comes from solar particle events (SPE) and galactic cosmic radiation (GCR). Mars One, the organization planning one-way trips to Mars talks about covering their habitats in several meters of regolith, a fancy word for the miscellaneous rocky material covering the bedrock. Five meters provides the same protection as the Earth’s atmosphere — around 1,000 g/cm2 of shielding. A paper from the NASA Langley Research Center says that the largest reduction comes from the top 15 to 20 cm of regolith. And so our Mars house will have an underlying structure but the radiation protection will come from somewhere between 20 cm to a few meters of regolith. Effectively, people will be living underground. On Earth, producing water and air for your house is not something you think of doing, let alone disposing of exhaled CO2. But Mars houses will need systems for this and more. How do you resist this talk title? You can’t! [Karsten Becker]’s talk about what kinds of 3D printers you’d use on the moon is a must-see. A really neat part of their planned mission is to land near the Apollo 17 landing site, which will let them check up on the old lunar rover that NASA left up there last time. 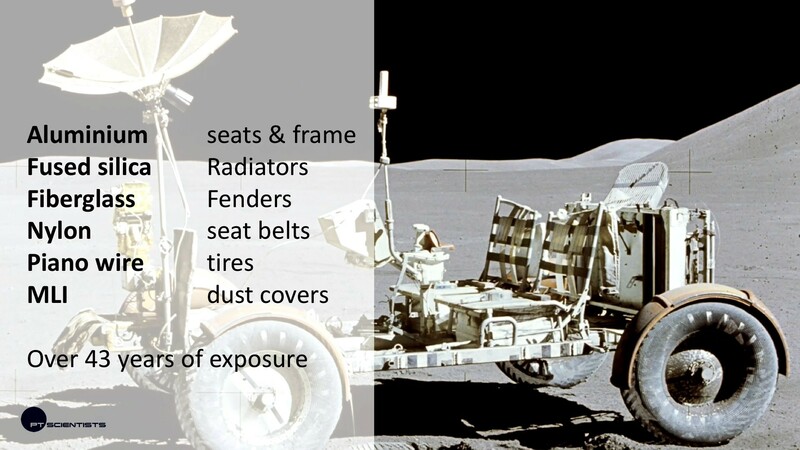 The science here is that, 45 years on, they hope to learn how all of the various materials that make up the rover have held up over time. One idea is to essentially microwave the lunar regolith (and melt it) . This should work because there’s a decent iron component in the regolith, so if they can heat it up it should fuse. The catch with microwaving is directivity — it’s hard to make fine details. On the plus side, it should be easy to make structures similar to paved roads out of melted regolith. Microwave parts are robust and should hold up to launch, and microwaving is relatively energy efficient, so that’s what they’re going to go for. But there are other alternatives. The European Space Agency is planning to bring some epoxy-like binder along, and glue regolith together in layers like a terrestrial cement printer. The problem is, of course, schlepping all of the binder to the moon in the first place. And then there are lasers. [Karsten] talked lasers down a little bit, because they’re not very energy efficient and the optics are fidgety — not something you’d like to be supporting remotely from earth. The final option that [Karsten] mentioned was the possibility of using locally-generated thermite to fuse regolith. This has been tested out on earth, and should work. [Karsten] thought it was an interesting option, but balls of hot thermite are potentially tough on rovers, and the cost of mistakes are so high that they’re going to put that off for a future mission. In the end, the presentation ran only thirty minutes long, so there’s a great Q&A session after that. Don’t go home once you hear the audience clapping!